The cost of commercial pest control in Toronto will usually depend on a number of factors, chief among them being the nature of the pest problem and how widely it has spread. For instance, ant control in Toronto and bed bug control in Toronto will be charged differently because of the differences in the methods that will be used to execute each one. Naturally, if you are planning on hiring animal control experts to help you with your pest problem then you will be interested in trying to keep the costs involved as low as possible. Here are a few ways you can do that and save some good money in the process. If you are having a pest problem in your commercial premises then chances are that your neighbors may also be suffering from the same problem. In such cases, it would be a good idea to join hands with your neighbors and hire animal or pest control experts as a group rather than to do so on your own. This way you can leverage your numbers to bargain for better discounts with the experts. 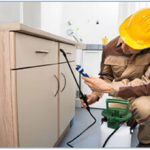 Unless the problem is extremely urgent and cannot wait for even a short while then you should not be too quick to hire the first pest control company that you come across. Instead take time to look around and ask for estimates from different companies so that you can compare and find the most affordable ones. Even before you decide to bring in an expert, there is plenty that you can do to bring your pest or animal problem in check and it won’t cost you money to do so. For instance you can set traps in your garden or repair your fences to keep animals from getting in and you don’t need an expert for that. * Pestico Canada Inc. is committed to respecting the privacy of individuals and recognizes a need for the appropriate management and protection of any personal information that you agree to provide to us. We will not share your information with any third party outside of our organization, other than as necessary to fulfill your request. We ensure you’ll never again have to worry about termites again. We use safe & environmentaly friendly products to eliminate rats & mice. We take fleas very seriously and take great pride in delivering a superior service. 2017 Copyright, Pestico Canada Inc.